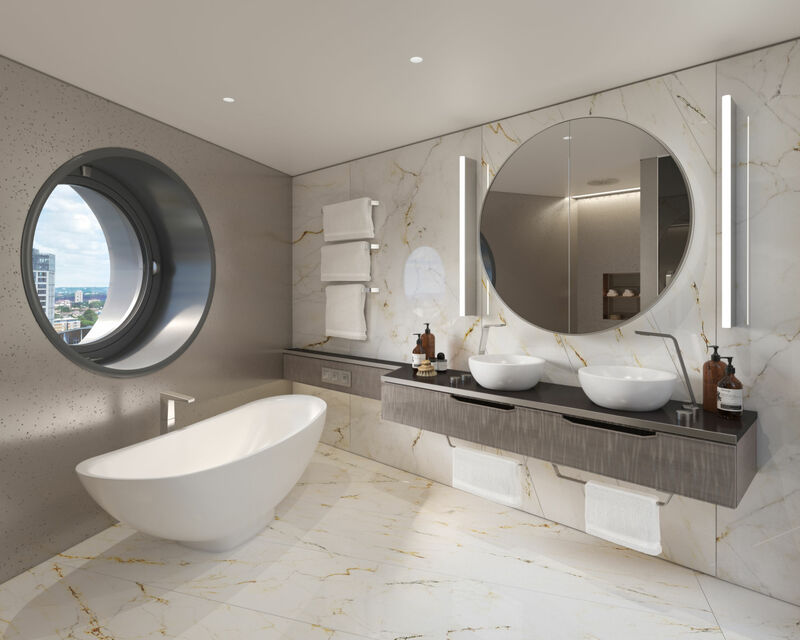 Solstice London is the latest creative venture of architectural maverick Will Alsop. 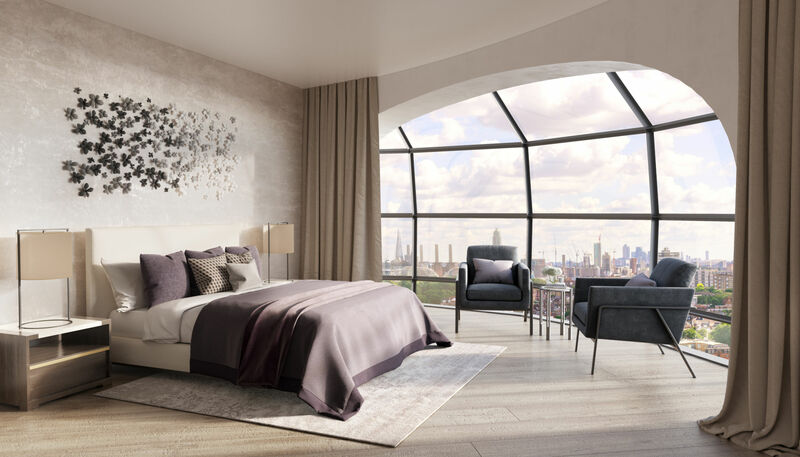 A 16-storey sculptural tower on the South Bank of the Thames, the building is a residential development like no other before in the capital, housing one apartment per level and offering 24h of natural light and 360° panoramic vistas over London. 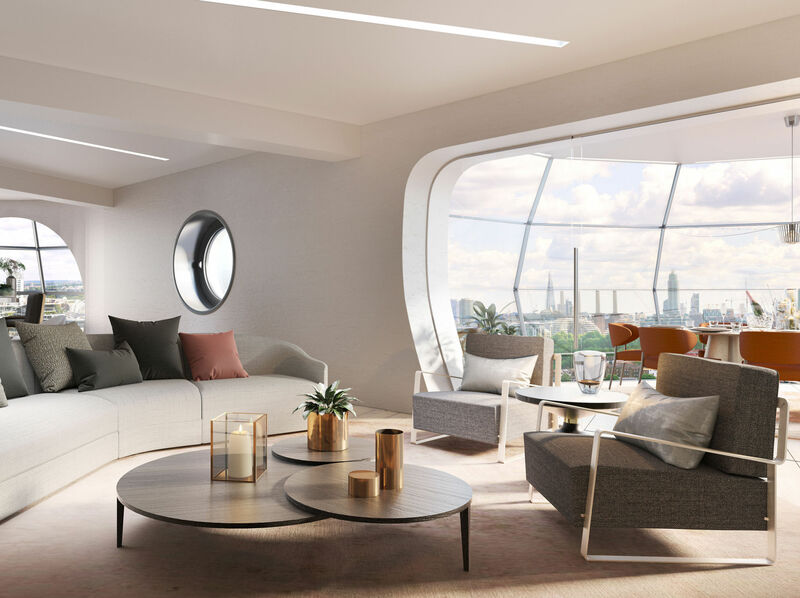 The innovative interiors respond to the circular shape of the building, with a rotunda at the chore of the apartments as creative solution to maximise space, light and views. 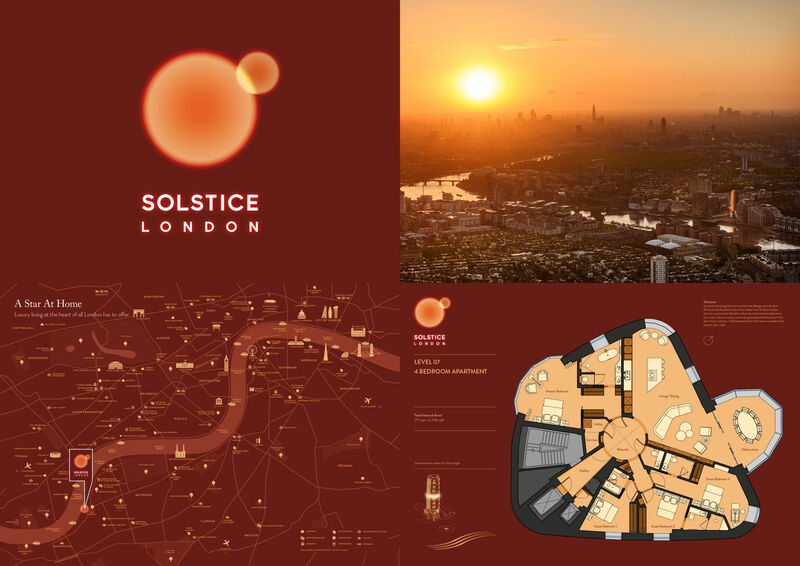 The conceived branding stems from the capital role the Sun plays in the founding concept of the project, forming the unifying link between London, the Thames and the Skies — a homage to the heritage site, the London Heliport.